Skiing in Japan was almost unheard of five years ago, but it is fast becoming the go to ski resort. People are flocking there, after hearing stories of how much fresh powder it has, how you can ski from morning to night, and how the food is sumptuous and rich. 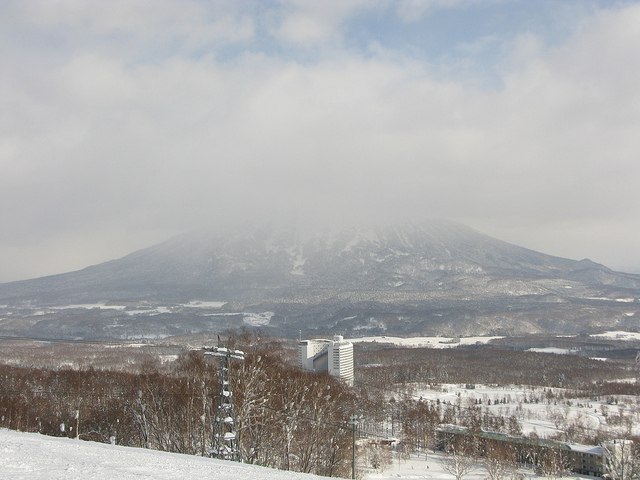 But, when you’re skiing in Japan, one thing stands out head and shoulders above everything else….. and that is Onsen. These small thermal volcanic pools are a must visit for any skier. They start as a one off experience but soon skiers find themselves there day in day out. Bathing in the steamy rich waters before spending an evening session on the slopes. You’d think the rowdiness of skiers and the placid laid back nature of the hot springs wouldn’t mix, but for some reason they do. Going together like beans on toast, it quickly becomes skiing in Japan’s defining characteristic. But taking those first steps into the steamy hot pools, can be a bit daunting. All that history, all the social etiquettes to be aware of – something that skiers aren’t usually too good at. So, here are five tips that any skier looking to get a bit of Onsen action should be aware of. You have to be absolutely clean – In Japan cleanliness is next to godliness. Because of that Onsen pools have a very strict policy when it comes to being clean. The policy doesn’t just stop at dirt either, no, if even an ounce of soap is on your body you could potentially cause great offence when entering the pools. Wash well, and wash thoroughly before entering the redemptive pools. You have to be completely naked – Wearing any clothes in an Onsen, simply isn’t an option. Centuries of tradition have dictated that you must be completely unclothed, while in the pools. How else would the body receive one hundred percent of the pools redemptive powers. Which brings us on to my next point…. No Towels in the pool – A lot of first timers think that they can walk in to the pool with their towel wrapped around their waist, slowly submerging into the steamy water. That simply isn’t the case. No any Onsen establishment worth its salt won’t allow it. Towels in the pool will make it more difficult to clean and remember cleanliness is next to godliness in the world of Onsen. TOP TIP: If worried about catching a cold with the towel across the room, then it is perfectly accepted to have your towel folded on your head. As long as it does not touch the rejuvenating water. Onsens are very sociable – As much as bathing naked with others seems strange in western cultures, it is perfectly normal in Japan. In fact, companies have bought whole pools for the workers to socialise in. So, if someone approaches you looking for a chat, then just politely make small talk while you let the relaxing powers of the minerals take over. Some Onsen’s have Tattoo bans – Yes, a difficult one for some of the more extroverted skiers out there, but for a long time in Japanese culture tattoos have been frowned upon. For years they have been associated with criminality and the Yakuza, leading to many establishments adopting a no tattoo policy. So, if a situation occurs where you are turned away, don’t behave aggressively instead just simply ask for an alternative location. Behaving aggressively towards anyone from a nation where not loosing face is central to their beliefs will not end well. So, there are some of the tips for indulging in Onsen while skiing. With all the aches, pains and muscle strains that can take place on the slopes, you would be foolish not to spend a few minutes in those rejuvenating hot springs. It can be the difference between eight hours on the slopes and just the three. Skiing in Japan is as much about hot water as it is about snow. Authors Bio: Martin’s first experience of the rejuvenating powers of Onsen was on a ski trip with Crystal Ski. 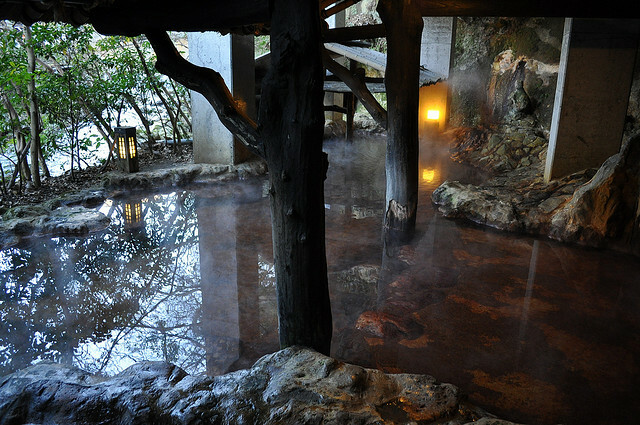 Since then he has been looking for ways to make his skin feel as fresh it did after a visit to the hot springs. Just because money is tight doesn’t mean you can’t take holidays!